The MyData Community Meetup (formerly known as PIMS meetup) is open to all organizations that are taking an active role in the personal data ecosystem, whether companies providing solutions or research institutes, regulatory bodies or not-for profit organizations. Just 10 minutes walk from the Infinity Hotel and the EIC 2018 conference venue which starts the next day with Kantara's pre-conference workshop - see below. 10.30-4.30pm. No charge. Lunch included. Sponsorship Offer: One premier sponsor opportunity at $1.500 to help offset costs. Brand association & exclusive presentation time offered to avery influential audience. Please contact us. The London Kantara International Privacy Summit is focused on the business-critical issue of common standards for privacy and identity management, squarely aimed at the Marketing and Media industry - leading brand organizations (bricks and mortar and online), their advertising agencies and publishers. These folks are caught in the Adtech/retargeting/programmatic advertising nightmare with conflicting vested interests to protect. Kantara is committed to playing its part to clean up this industry. Delegates will have the opportunity to meet and network with the privacy experts who have been involved in drafting the laws, policies and standards that are now being implemented in businesses across Europe. These experts will debate the critical issues so that delegates can determine how to best safeguard their brands and businesses. The packed agenda will also include breakout sessions on Kantara’s Consent Receipt and UMA specifications, marketing and media concerns (e.g. consent vs. legitimate interest vs. performance of contract), in addition to other vendor tools. Keep Kantara’s homepage open for additional event and registration details coming soon. Delegate Pass Offer: Kantara members 30% discount using this code K3022 on Registration. Sponsorship Offer: Catering and Logistics sponsorships available from £2,500. Exhibit stands available from £6,500 and strictly limited due to venue space constraints. Kantara Members in good standing will be given priority access to the Sponsorship contracts. Please contact us for a Sponsorship pack with full details and contract. 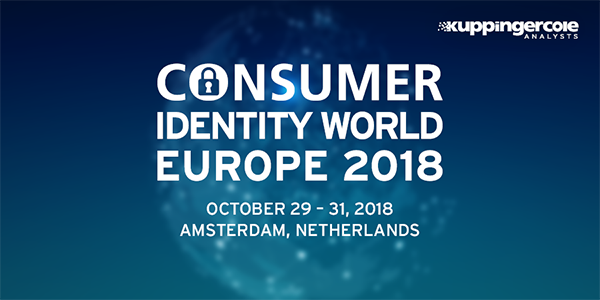 Nordic full day identity and access management conference with international keynote speakers, case presentations, expert panels, topical presentations. Colin Wallis, Executive Director of Kantara and Joonatan Henriksson, from Kantara Member, Nixu, are some the few speakers who will be presenting at this event. Identiverse is the ‘new Cloud Identity Summit’ from the same hosts, Ping Identity. Packed with great speakers and content (and parties! did I say that? 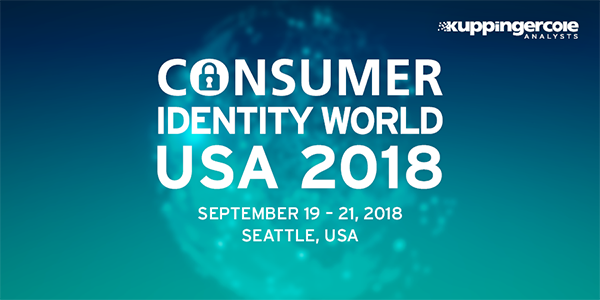 ), it is one of America’s premier events in the digital identity space. Exhibit Offer: Kantara has a special members-only offer to exhibit under the Kantara banner as part of the Industry Partner Program, at a fraction of usual exhibitor prices - $1,000 per table, $500 off a delegate pass. Hurry! Offer expires April 30. Delegate Pass Offer: $500 off a standard delegate pass. Please register here and enter codeKantaratoBoston on the check-out (last) page. Register ASAP before April 11 and the discount will also be stacked on top of early bird pricing - a saving of $800 total. As part of Kantara's Summer Webinar Series, the eGov Working Group hosts the Australian Digital Transformation Agency (DTA) who will present the world's newest Trust Framework, the Trusted Digital Idenitiy Framework. Block out your calendar for 3pm CET, 2pm BST, 9am US Eastern, 6am US Pacific: Space is limited to 50. Please register here to reserve your place. GoToMeeting details will be emailed to you. As part of Kantara's Summer Webinar Series, the Kantara Identity & Privacy Incubator (KIPI) grant funding program hosts Steve Wilson, Lockstep Technologies, showcasing Stepwise, a new identity infrastructure for MDAV. Read more about this ground-breaking work on Kantara's KIPI webpage. Please block out your calendar for Wednesday, August 22 at 6:00am Sydney time (AEST); Tuesday, August 21 at 4:00pm Eastern Time: Space is limited to 50. Please register here to reserve your place. GoToMeeting details will be emailed to you. Kantara members will be turning up in force to this event. Wednesday August 29th, 3pm - 4.15pm: The Consent & Information Sharing Work Group will demonstrate Interoperability of Consent Receipts in the Consent in Action track. In the last week of August, leading personal data professionals from around the world and across the spectrum of businesses, startups, technology developers, legal and policy experts, social scientists and activists will gather for the third annual MyData conference in Helsinki. Key topics covered include MyData business models, use cases of GDPR implementation, challenges and solutions in interoperability, the ethics of artificial intelligence, and using collective personal data for societal good. Explore the program. The core idea of MyData is that individuals should be in control of their own data. The MyData approach aims at strengthening digital human rights while opening new opportunities for businesses to develop innovative personal data based services built on mutual trust. It provides the ways to implement parts of the GDPR - like data portability and consent management. Kantara workshop showcase as part of the main agenda September 21, from 2:30-3:30 pm, featuring UMA WG Chair Eve Maler, Leadership Council Chair Andrew Hughes and Consent Receipt editor David Turner. Ubisecure’s IAMwithUBI is a series of digital identity events bringing together international keynote speakers, case presentations and identity experts. The UK launch event on September 27th will feature Kantara’s Executive Director, Colin Wallis, as a keynote speaker. This meeting will follow the VRM and IIW days in Mountain View. Please register here. Registration is a mandatory requirement for this event in order to enter the building. Registration will close on October 24th. Kantara workshop showcase as part of the main agenda October 21, from 2:30-3:30 pm, featuring Colin Wallis, Executive Director, Working Group leaders and volunteer experts. 6-7 November, Brussels, Join your peers at ISSE 2018 to discuss and debate topical security issues. From Sept 30th Kantara members enter code MEFSE for 35% off full ticket price €400 (nett €250 + VAT). "Keeping up with the Kantarians" is on Wednesday 7 November, 13.30 – 14.30". One Great George Street, Westminster, London, SW1P 3AA. Understanding the policy, practice and delivery of public sector identity. The day will feature speakers (including Kantara's Executive Director Colin Wallis) discussing how their organisations are delivering and practising digital identity in public services, including the challenges, the success and the headaches. 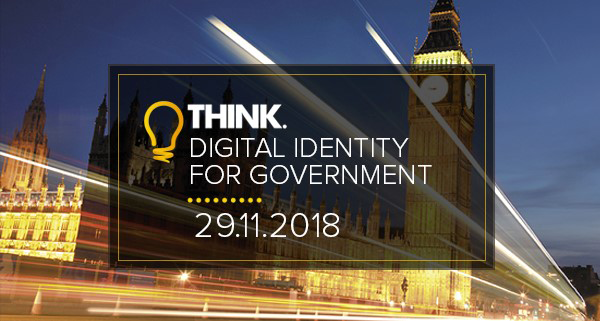 Among the speakers will be Cheryl Stevens, DWP Digital’s Deputy Director, Identity & Trust, and we’ll also be hearing from other serious exponents of identity in public services, in Whitehall and beyond. With the shift in responsibility for identity policy from the Cabinet Office to the Department for Digital, Culture, Media and Sport, this event will also offer one of the first opportunities to examine what the new landscape in identity in public services looks like. £50 off the private sector ticket price is available to Kantara members in good standing by emailing matt.stanley@thinkdigitalpartners.com&lt, confirming your Kantara membership and inlcuding this reference; Kant11.2018. An invoice will be sent. Tickets are free to public sector attendees. Presentations made available following past events can be found here. Please tell us about your Event!